DIY: How to Clean, Repair, and Protect Gutters - GNH Lumber Co. DIY: How to Clean, Repair, and Protect Gutters - GNH Lumber Co.
Making sure that your home’s gutters are clear of debris after the autumn leaves have fallen is an easy way to prevent potentially significant water and ice damage later. Since your homes gutters work to control the flow of water, and help to prevent damage to the exterior of your home, it’s vital that you keep them in proper working order. 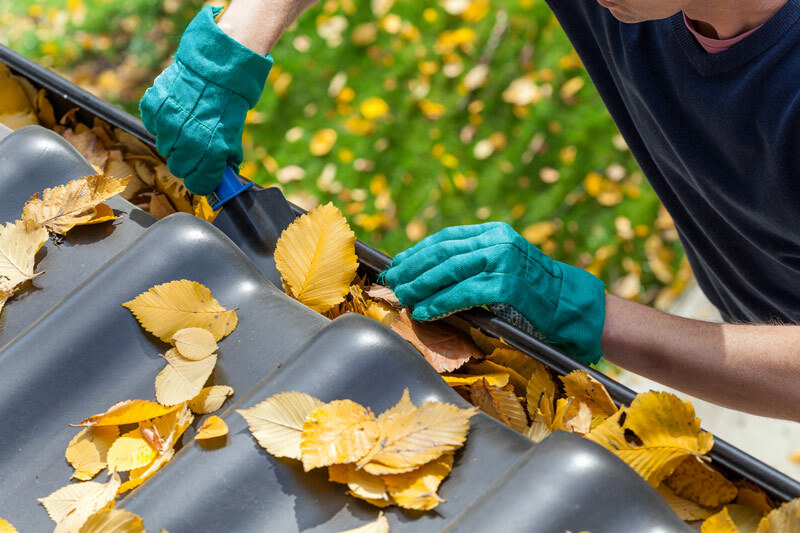 Begin by removing the debris and leaves that collect in your gutters. Most find that handheld blowers or even wet/dry vacuums are effective tools for removing debris. If the debris is dry, you’ll find it easier to remove. Blow out as much loose debris as possible and collect it into yard bags. If you find that the plant matter is really packed in, use a gutter scoop to remove the compacted debris. Simply attach a bucket to your ladder and then scoop out the debris and place it in the bucket. Begin at the downspouts and work your way over. Do not push debris over, rather scoop it out. You will also need to check out the downspout. Clogs often occur here. Generally, a garden hose on full blast will manage to dislodge the clog quickly. Always take the time to inspect your gutters. This will let you know if they’re in need of repair, and help you assess the scope of work ahead of you. 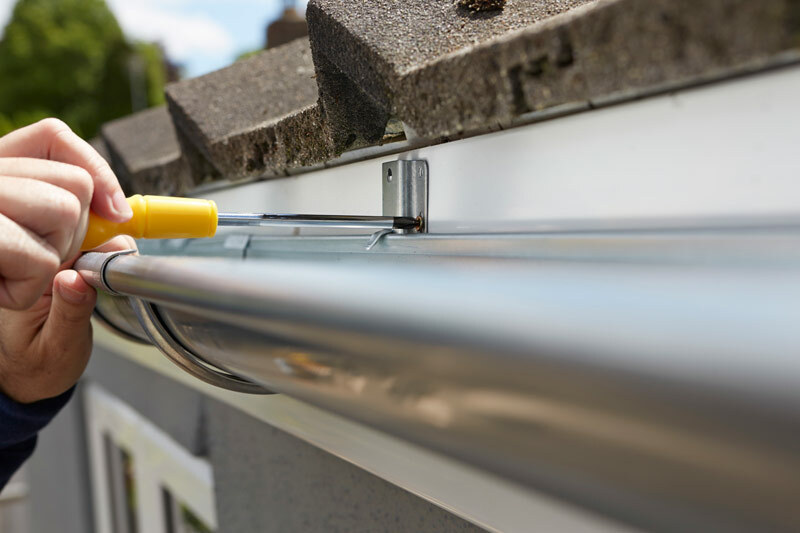 If your gutters show any signs of corrosion, make sure you look for holes or leaking joints and check for loose, missing or even bent gutter hangers. A great tip is to use masking tape to mark where a problem area so you can go back to it quickly when you get the supplies needed to make repairs. You’ll want to repair small holes or cracks in your gutters and downspouts with a gutter patching kit from your local GNH Lumber store. It’s always easier to fix small issues early on as opposed to making costly repairs later (such as replacing your gutters altogether). Gutter patching kits are easy to use, and can help prolong the life your gutters and prevent damage to your home. Sometimes parts of your home’s roof gutter may be damaged to the point of no return. This can happen if they are not properly installed, or if they have been damage over time because of weather and wear. These sections are best replaced to keep the gutter functioning properly. More than likely when your gutters were installed, they had a pitch of about 1/16.” You’ll want to measure the pitch and make adjustments if necessary. This is very important because improper pitch can equal poor or no drainage. Any high or low spots can often be corrected by slightly bending the hangers that support the gutter itself. You may need to add additional gutter hangers to raise or lower the slope of the gutter at any given point also. 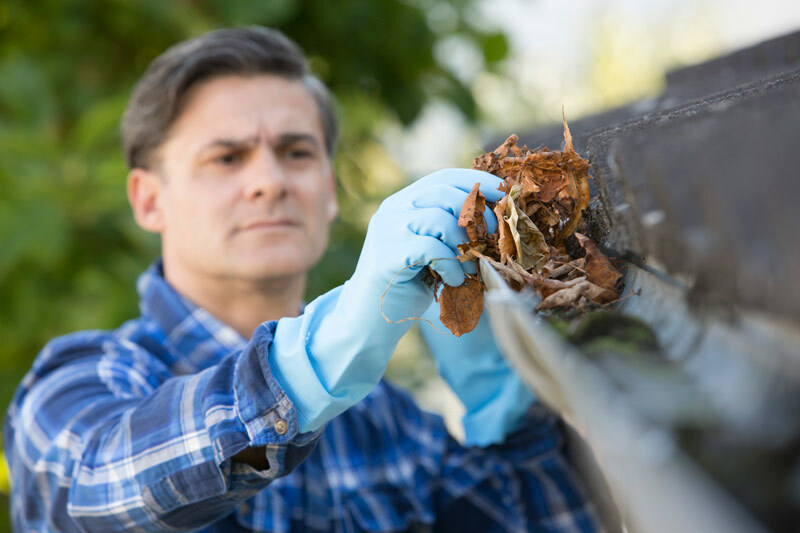 Once your gutters have been cleaned and fully repaired, you’ll want to keep them that way! One way to prevent gutters from filling with leaves and other debris is to install metal gutter screen or an aluminum gutter guard. Gutter guards simply extend across the entire width of the gutter blocking debris but still allowing water to enter. It helps to prevent clogs and makes cleaning out your gutters much easier. By following this step-by-step guide for cleaning, repairing and protecting your home’s roof gutters, you can rest assured that they will work without clogging during the worst of rainstorms, protecting your home from the elements, and prolonging the life of your siding and foundation. 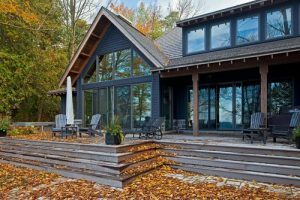 Questions or concerns about your home exterior maintenance projects? Stop in to your local GNH Lumber! We’re always glad to offer guidance, tips or suggestions, or point you in the right direction for just the product needed to get the DIY project done.